43 Iowa Quilt Guilds and Clubs to choose from! 43 guilds to choose from! All the Iowa Quilt Guilds listed below are in alphabetical order by their meeting location for your convenience. Also included is a website or Facebook URL or email so that you can contact the guild directly. Nobody likes to go to a meeting only to find that for that particular night the meeting date was changed. And it does happen for all sorts of reasons. Please check to confirm the meeting date! Have we listed your guild? If not, please add it using the blue button below. If you need to make a change to a listing, use the same button. I appreciate your help keeping this directory current. Fort Dodge Area Quilters, Inc. Learn this simple technique to create the flattest quilt block ever! Looking for inspiration? Check out our free Quilt Block Patterns Library! On the hunt for quilt shops? Check out our listing of quilt shops in Iowa. There's over 125 to choose from. Your next quilt may be just a road trip away! 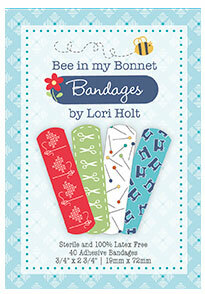 Just for Iowa fabric lovers!